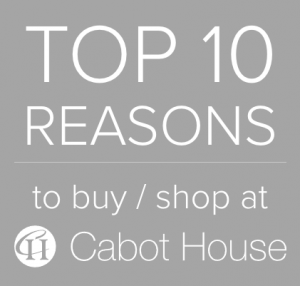 Cabot House is seeking designers to join our showrooms. Designers/Sales Associates are responsible for creating a first-rate client experience through superior sales and service. We are looking for candidates who are available PT and FT including holidays, weekdays, and weekends. Are you a creative thinker and problem solver? A team player and self-starter? Interested in a career in interior design and retail sales? We’re looking for people like you. If you are passionate about this opportunity, please send an email to retailcareers@cabothouse.com. Please include your resume and portfolio, if applicable, along with a cover letter telling us why you are the one for this role.